A $260 million teaching hospital on UT Austin's medical campus is set to open May 21. In less than two months, Austin will have a $310 million teaching hospital on UT Austin’s medical campus. The hospital is part of a long-term deal struck between the Michael & Susan Dell Foundation, Central Health, Seton and Travis County voters in 2012. The agreement led to a tax increase to pay for a medical school and set aside land for a new hospital. Dell Seton Medical Center at The University of Texas has been under construction for a few years now. Aside from a few small projects, hospital officials say, all that is left to do now is stock the 517,000-square-foot hospital with supplies and get IT up and running. Maria Tappan, Dell Seton’s staff educator, said everyone is really excited to move into the new hospital. Tappan is one of many people coming to Dell Seton from Brackenridge Hospital, which is just across the street. Brackenridge will be closing as Dell Seton opens, and Tappan says it will be pretty simultaneous. Tappan said every patient in a room will be taken, one by one, across the street in an ambulance. She said the whole thing should eight hours. Once patients are fully moved in, officials say, the hospital will begin the work of providing care – along with some loftier goals, too. That includes testing out some academic research built into the design of the hospital. 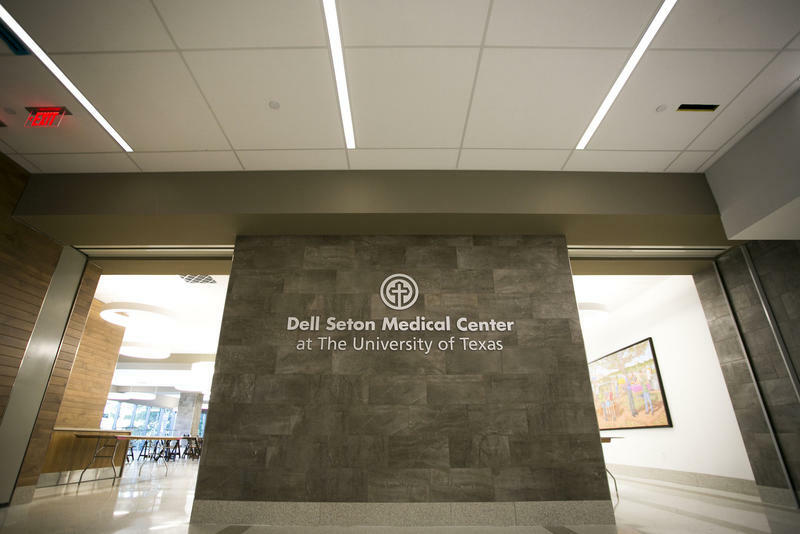 During a tour of the hospital last week, officials pointed out that the hundreds of patient rooms at Dell Seton are bigger than Brackenridge’s in order to accommodate students and doctors. The rooms are also aimed at accommodating family. 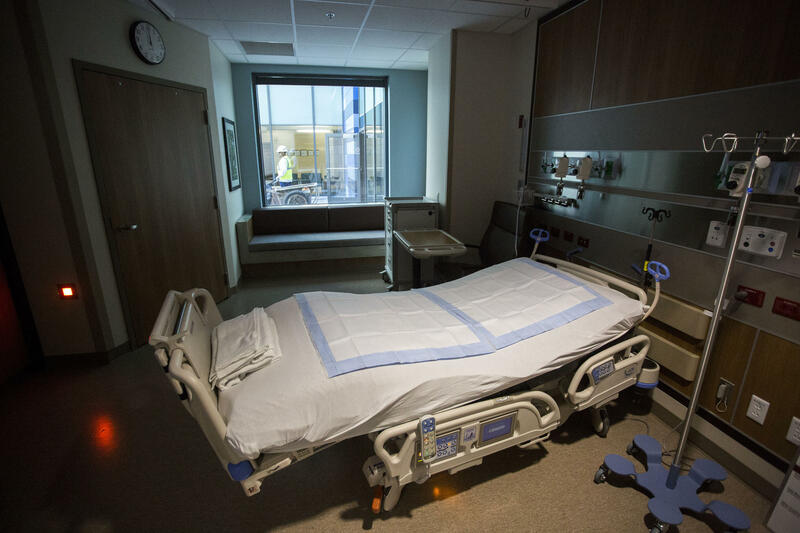 Christann Vasquez, Dell Seton’s president, pointed to a bed/window seat at the back of the room and said it was to help family members feel comfortable -- something hospital rooms typically aren't designed for. Patient rooms at Dell Seton were designed to accommodate both patients and their families. “What we have learned in academic settings is we need to engage the family," she said. "Because when the patient goes home, our wonderful nurses don’t go home with them." Family members can watch and learn how to change dressings and help their loved ones out of bed, Vasquez said. There are also other amenities aimed at making family and patients feel better. Vasquez said when medical staff come in and out of the room, TVs mounted in every room will pick up their badge info and show that person’s name and credentials on the screen. “So that the family and patient know who is in the room with them as soon as they walk in the room,” she said. That, too, was borne out of academic research and patient surveys. 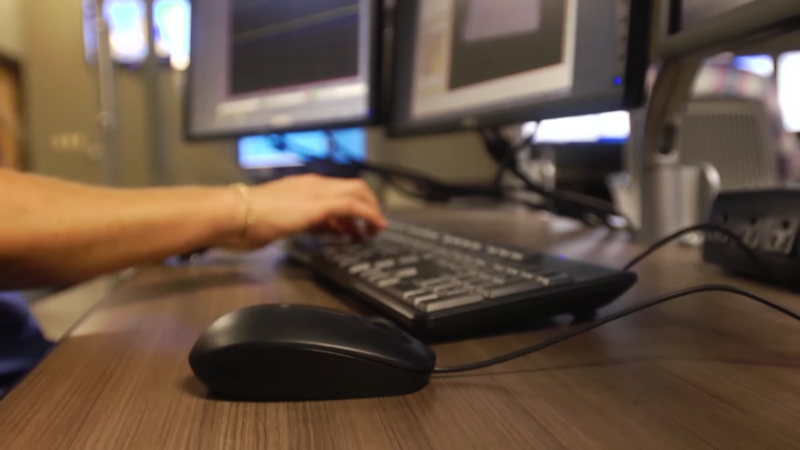 According to Dell Seton, the design of the hospital also includes beds that adjust to patients, instantaneous in-room interpreter services, valet parking and nurse stations directly in the sightlines of patient rooms. Greg Hartman, Seton vice president of external affairs, said Dell Seton will be a testing ground for methods that can eventually be shared with other hospitals in the Ascension Health hospital chain system. Clarification: A previous version of this post said the value of the medical center was $260 million, but with fundraising the total value of the center is $310 million.